This book considers classical and current theory and practice, of supervised, unsupervised and semi-supervised pattern recognition, to build a complete background for professionals and students of engineering. 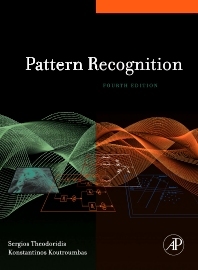 The authors, leading experts in the field of pattern recognition, have provided an up-to-date, self-contained volume encapsulating this wide spectrum of information. The very latest methods are incorporated in this edition: semi-supervised learning, combining clustering algorithms, and relevance feedback. · Matlab code of the most common methods are given at the end of each chapter. 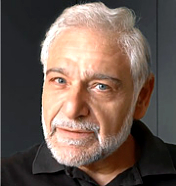 · Latest hot topics included to further the reference value of the text including non-linear dimensionality reduction techniques, relevance feedback, semi-supervised learning, spectral clustering, combining clustering algorithms. · An accompanying book with Matlab code of the most common methods and algorithms in the book, together with a descriptive summary, and solved examples including real-life data sets in imaging, and audio recognition. The companion book will be available separately or at a special packaged price (ISBN: 9780123744869). Solutions manual, powerpoint slides, and additional resources are available to faculty using the text for their course. Register at www.textbooks.elsevier.com and search on "Theodoridis" to access resources for instructor. "This book is an excellent reference for pattern recognition, machine learning, and data mining. It focuses on the problems of classification and clustering, the two most important general problems in these areas. This book has tremendous breadth and depth in its coverage of these topics; it is clearly the best book available on the topic today. The new edition is an excellent up-to-date revision of the book. I have especially enjoyed the new coverage provided in several topics, including new viewpoints on Support Vector Machines, and the complete in-depth coverage of new clustering methods. This is a standout characteristic of this book: the coverage of the topics is solid, deep, and principled throughout. The book is very successful in bringing out the important points in each technique, while containing lots of interesting examples to explain complicated concepts. I believe the section on dimensionality reduction is an excellent exposition on this topic, among the best available, and this is just one example. Combined with a coverage unique in its extend, this makes the book appropriate for use as a reference, as a textbook for upper level undergraduate or graduate classes, and for the practitioner that wants to apply these techniques in practice.